Led by young virtuoso guitarist Jaden Carlson, the Jaden Carlson Band are a dynamic four-piece from Boulder, Colorado with a diverse sound that defies easy categorization. Drawing from funk, electro, jazz, soul and other influences, the band has found success in the national and local jam scenes, playing notable festivals like Suwannee Hulaween, Summer Camp, 80/35, Bumbershoot and many others, providing direct support for nationally touring acts including the Revivalists, Robert Randolph and the Family Band, DeVotchKa and the Motet, and headlining many of the premiere venues in Colorado. 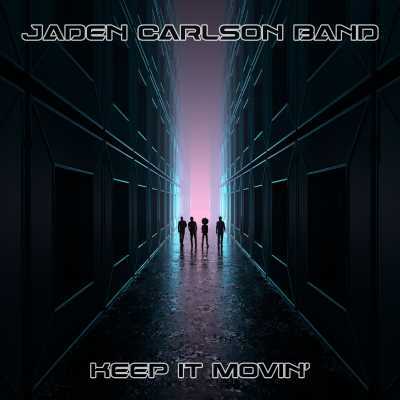 Jaden and the band are thrilled to announce their latest album, Keep It Movin’, which drops May 4. Jaden Carlson Band is fronted by phenom guitarist, keyboardist, singer Jaden Carlson. Now 17 years old, at age 11 Jaden became the youngest musician to play on the world-famous Red Rocks Amphitheatre stage (alongside Michael Franti and Spearhead—and, the next night, with Blues Traveler). She enjoys collaborating with as many musicians as often as possible, regularly sitting in with groups like Umphrey’s McGee, the Revivalists, Lettuce, Dumpstaphunk, the Main Squeeze, the Nth Power, Twiddle, the Werks, Tauk, SOJA, Zoogma, the Motet, Dopapod, and members of Snarky Puppy, Vulfpeck, Big Gigantic and the String Cheese Incident. Jaden also has a side project called SynthLords. Jaden Carlson Band is Jaden Carlson with Chris Beck (keys, synth, piano, organ and backup vocals), Fred Reisen (bass) and Eric Imbrosciano (drums). Keep It Movin’ was engineered by Alex Scott at Trakwerx Studio in Denver, produced, mixed and mastered by Tira Neal, and coproduced by Jaden Carlson and Chris Beck.